Céline Cachaud considers an unusual and beautiful genre of painting and frame. 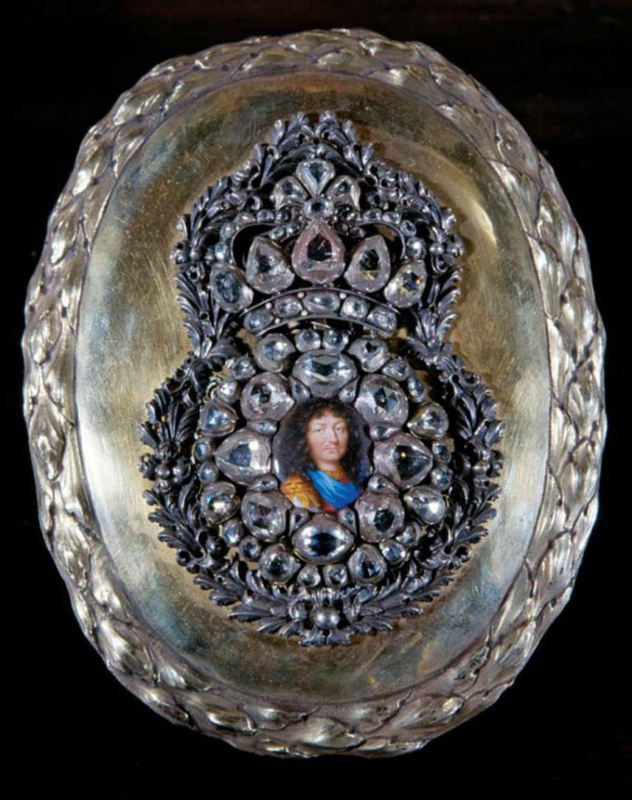 In 2009, the Amis du musée du Louvre helped the French museum to acquire one of the most delicate, rare and precious objects ever created : a miniature portrait in enamel depicting Louis XIV, in its original jewelled setting, also called a ‘boîte à portrait’. 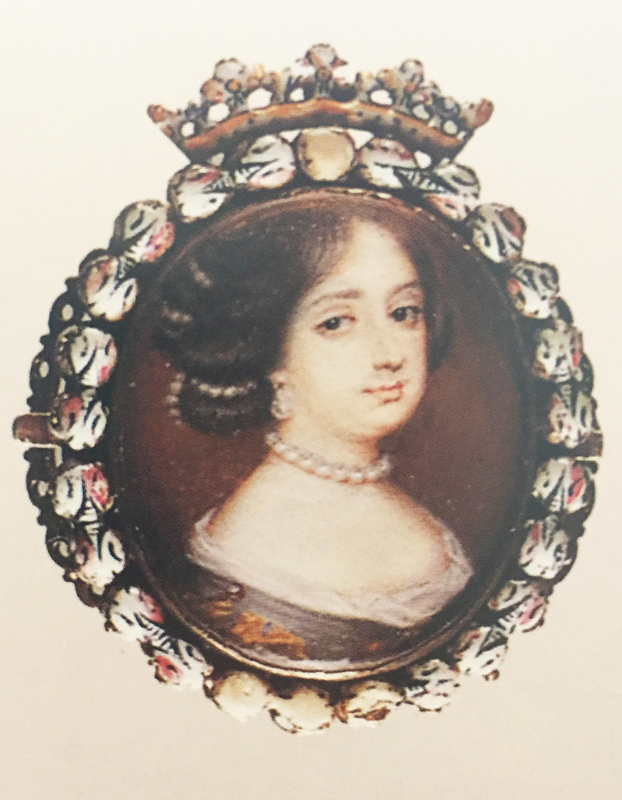 The acquisition of this miniature, the third in a museum worldwide, and the publication in 2015 of a study of portrait and setting, shed light on the long-vanished royal custom of bestowing as gifts these grand-luxe miniature boxes enclosing the monarch’s portrait; they were indeed truly regal, uniting diamonds, friendship and power. Let’s look more closely at these ‘boîtes à portraits’, and their origins and development throughout 17th century Europe. The terms ‘portrait box’ or ‘miniature box’ was already in use in Renaissance Europe to describe the setting of these portraits, since they were kept in ivory boxes or in closed medallions to protect the vellum support and the watercolour in which they were painted (see Framing Renaissance portrait miniatures in Paris and London). ‘…une boîte à portrait d’or garneye de 3 gros diamants et 3 moyens, 12 autres moindres et 3 petits sur belliere’. These boîtes seem to appear alongside the invention of the technique of enamel painted on gold by the goldsmith Henri Toutin, according to Félibien’s dictionary of art terminology . The author assures us that this technique was invented in 1632, whilst the artist was living between Chataudun (near Orléans) and Paris. 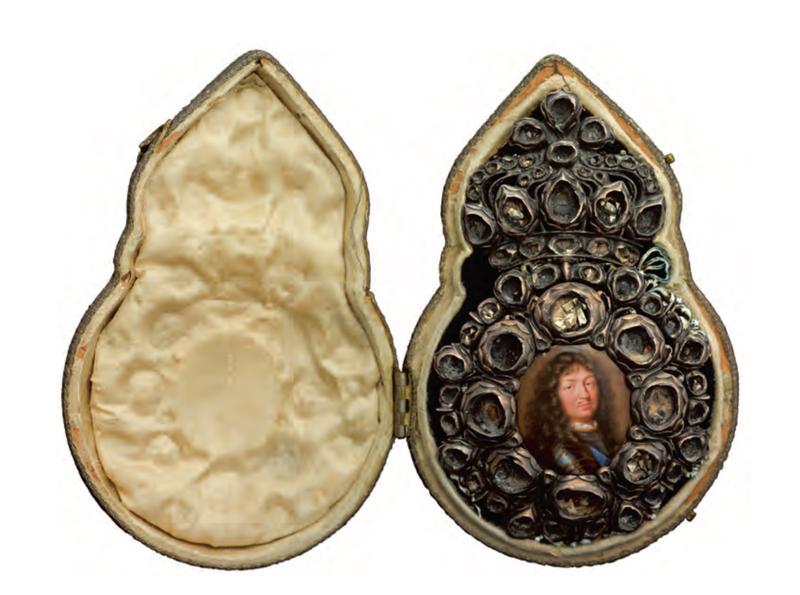 In her groundbreaking research on 17th century goldsmiths, Michèle Bimbenet-Privat raises the hypothesis that Toutin and Jean Petitot, the most famous Swiss enamel miniaturist of the century, might have met between 1632 and 1637 when Petitot is recorded neither in Geneva, nor in London. Both artists had been living in London and by the 1640s both, because they worked for the French court, were living in the Louvre. Thus they would necessarily have been in touch, and probably emulating each other. 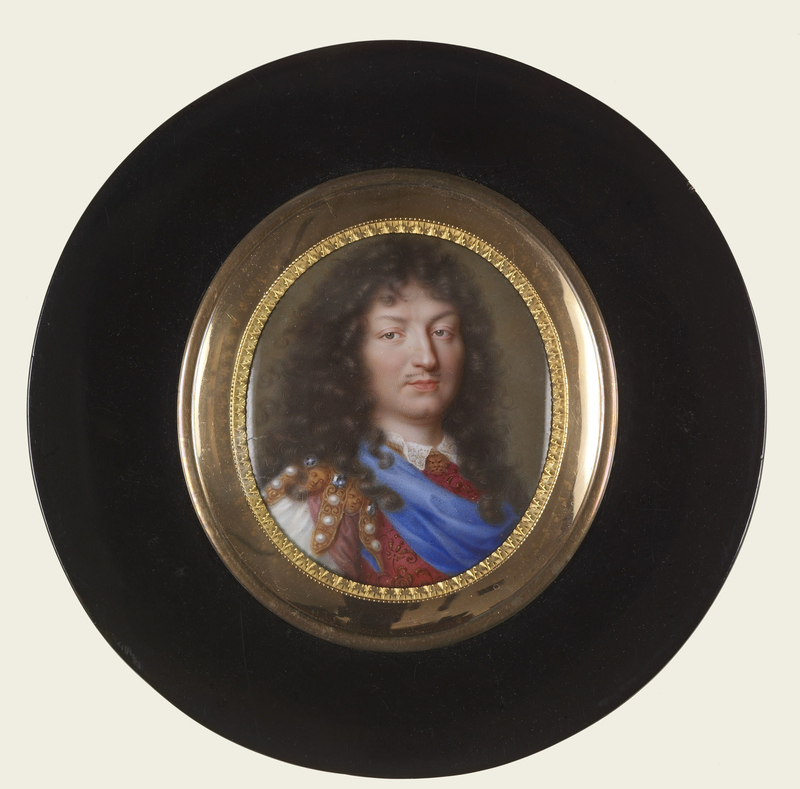 The two of them produced thousands of portrait miniatures with the help of their workshops and sons, until – by the 1710s – the genre had fallen out of fashion. These portraits were not necessarily painted ad vivum like watercolour portraits, since each colour needed to be fired individually; thus they were generally copied from a drawing, a panel or a canvas portrait. We don’t know exactly how the process worked, as very little research has been done on these workshops. 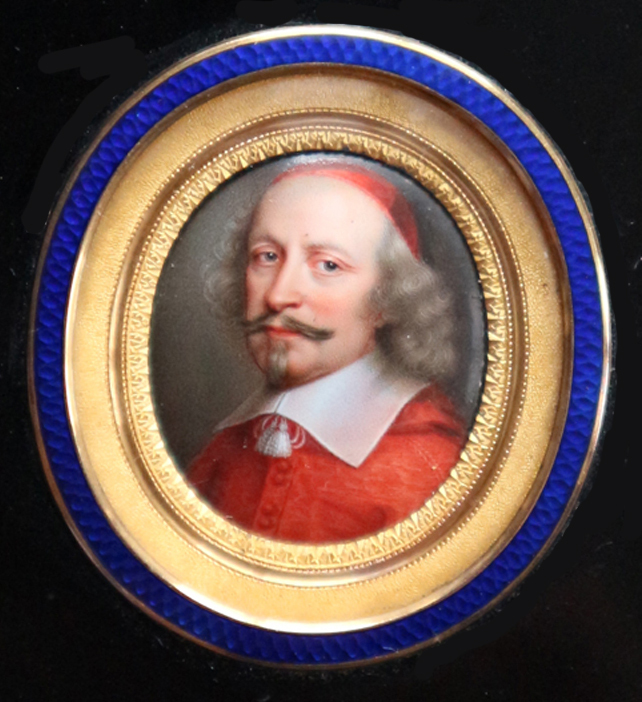 For instance, miniatures of Cardinal Mazarin were copies after Philippe de Champaigne’s paintings, and those of Louis XIV after portraits first by Claude Lefebvre, and later by Pierre Mignard. Several miniature are said, however, to have been painted ad vivum. 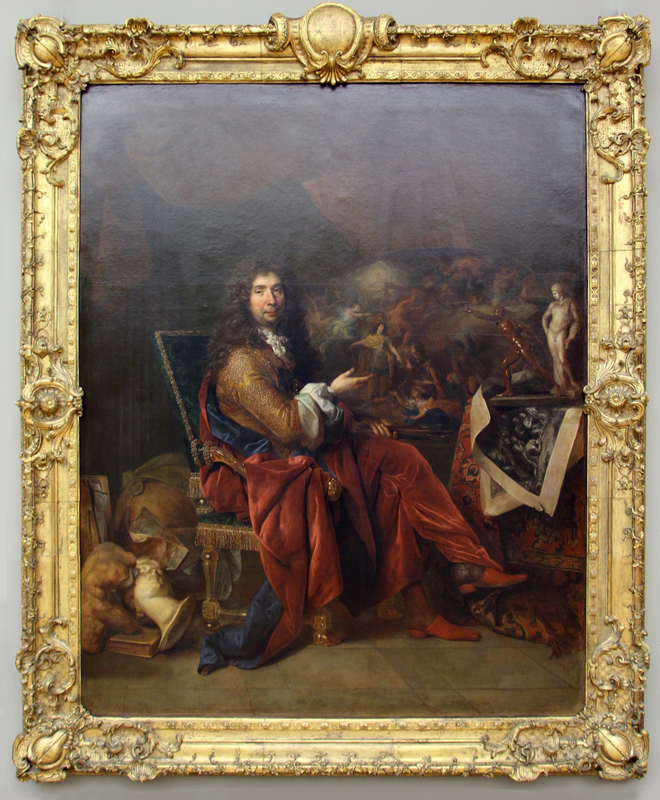 One of the most likely examples is Petitot’s self-portrait, now at the Fondation Custodia, where it was recently on exhibition. 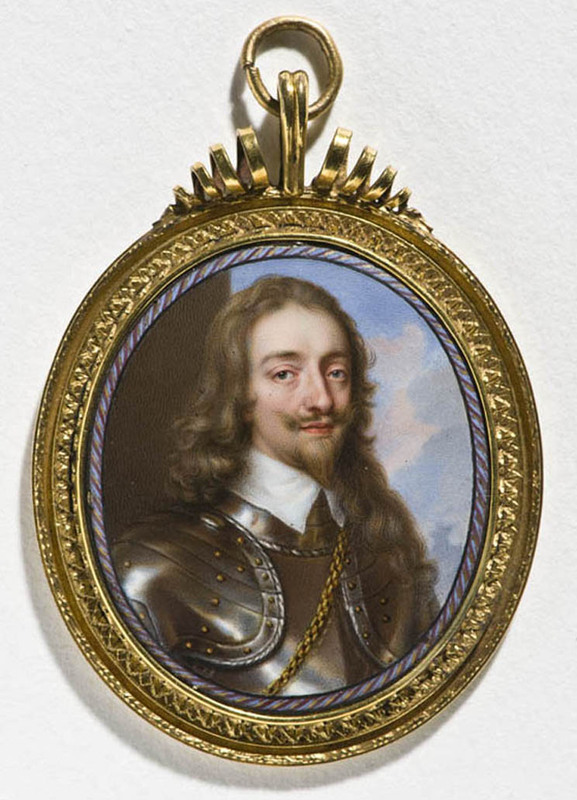 A copy of this miniature is also kept in the Royal Collections. 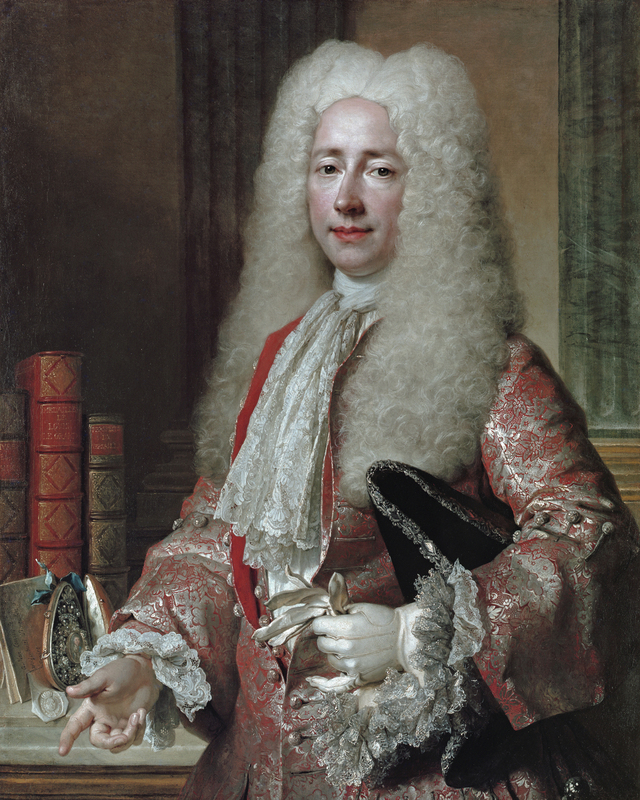 Petitot’s son, Jean II Petitot, also painted his own portrait (now at the Victoria & Albert Museum). The close-up framing and audacious pose of the artist makes it look like a portrait drawn from life. When miniatures began to be produced which were less fragile in structure, the need for closed miniature cases became unnecessary. At that point miniature portraits could be openly displayed, enclosed in jewelled settings for which new models appeared. 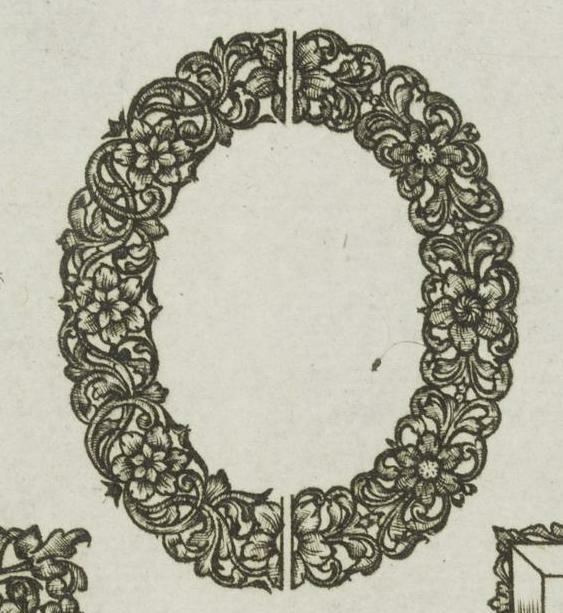 The 17th century produced a great number of engraved publications by French goldsmiths: in the early years books by Daniel Mignot (1616), Nicolas Rouillard, Jean Toutin, and Etienne Carteron, and then later, during the reign of Louis XIV, works by François Lefebvre (1657), Gilles Légaré (1663) and Thomas le Juge (1676). Gilles Légaré’s Livre des ouvrages d’orfèvrerie is the most important of these, as he epitomizes the style of European goldsmithery in the middle of the 17th century with the use of naturalistic flower patterns, colours, precious stones and enamel. 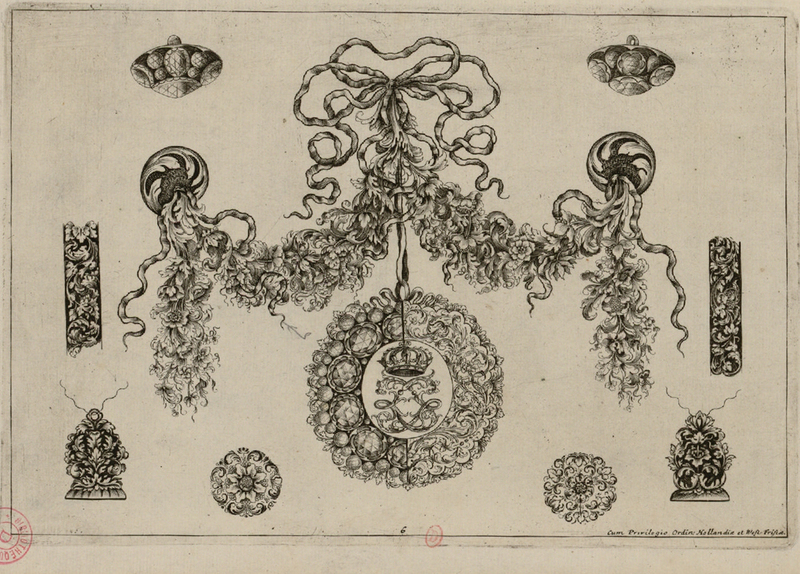 The contemporary decorative vocabulary is composed of rich garlands of flowers and fruits, as was seen in other French decorative arts and frames of the period. Legaré was in the service of the duchess of Orléans and then of the king. 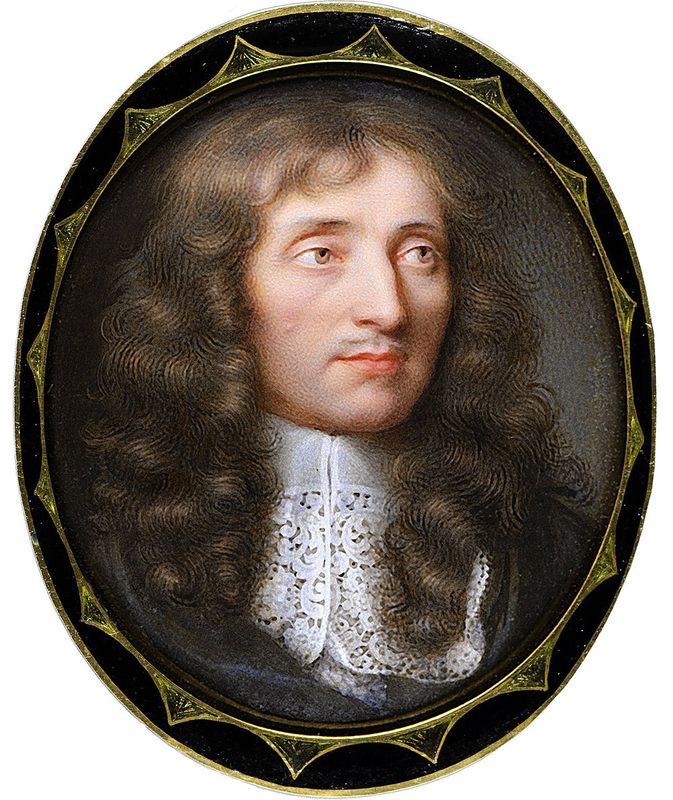 Consequently, many of the surviving portraits of the highest aristocracy in the French court are set according to Légaré’s style. These settings show the use of enamel to highlight naturalistic flowers set into garlands, to display circular miniature portraits. These are richly enamelled with several colours, as in the Philadelphia portrait, or simply painted in white, as in the Louvre miniature. 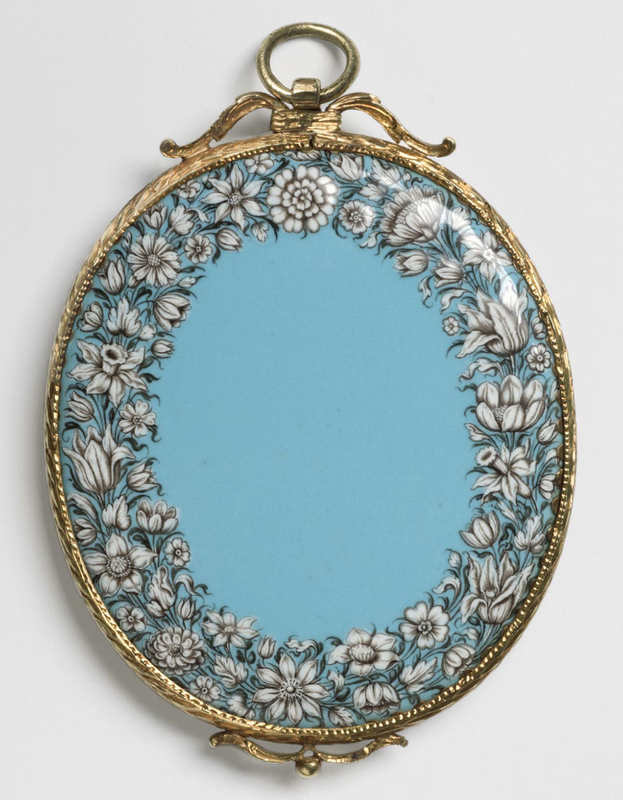 The back is also enamelled, in a characteristic blue for the Philadelphia portrait – a feature which we will also see in the Louis XIV ‘boîtes à portrait‘. Such models travelled as far as Sweden, where a number of French miniature painters and goldsmiths were hired by the court. The portraits they executed, of Carl X and Christine of Sweden, are mounted into settings in Légaré’s style. 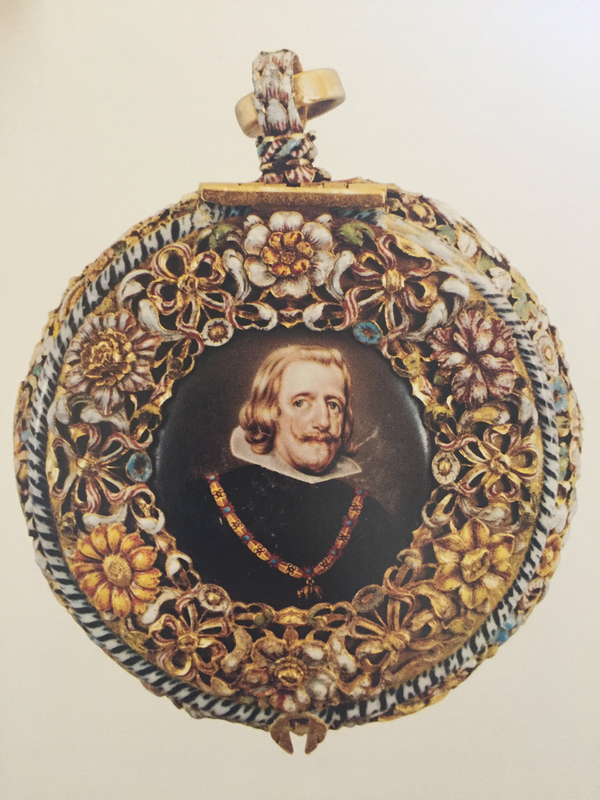 A further example is the watch in a box, also in Légaré’s style, adorned with enamel portraits of both Philip IV of Spain and his wife Marie-Louise of Austria. The box is kept in the International Museum of Horology at La Chaux-de-Fonds. In both French and Swedish examples, we can see the rich garlands of enamelled flowers surrounding the portrait, echoed by another garland on the border of the box. These new settings after Gilles Légaré’s models were to set the fashion for portrait miniatures in France and Europe from the middle of the 17th century to the 1680s, when – under Louis XIV – a new kind of frame for royal portraiture diffused throughout Europe, thanks to the king’s diplomatic gifts, and also to the spread of engraved patterns. 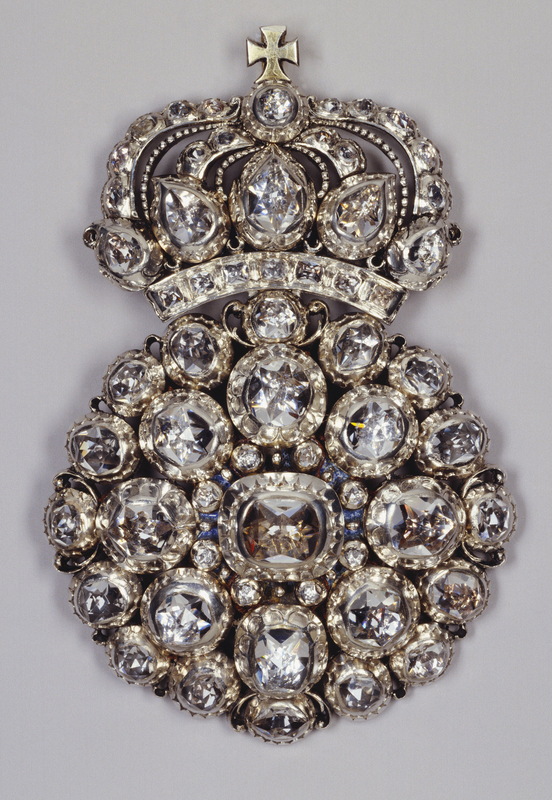 Louis XIV had a taste for gems, and consequently led the fashion in jewelled ornaments. Most contemporary avant-garde jewellery was in fact worn first by the king, then by noblemen. and only later adapted for the use of women. 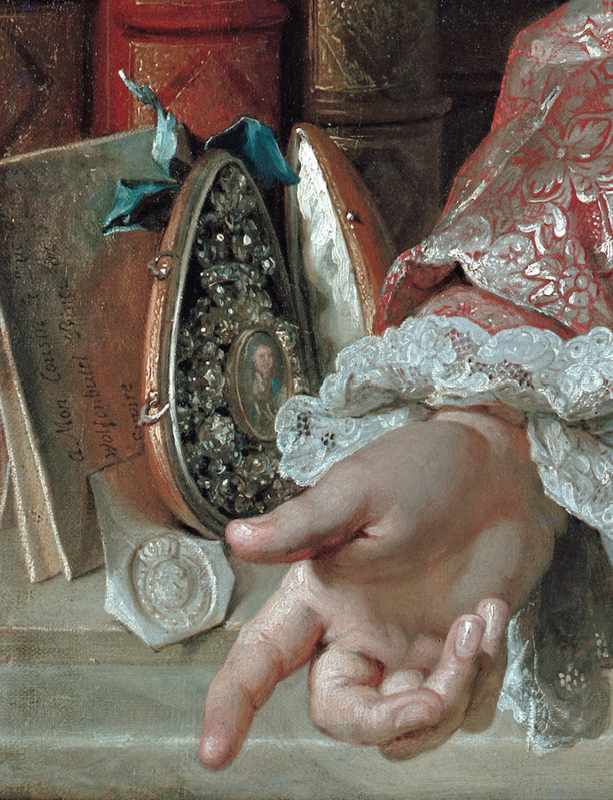 The idea of the ‘boîte à portrait’ arrived in the 1660s, when the king was searching for a diplomatic gift to encapsulate ideas of friendship, wealth, prestige and beauty. He took a personal interest in such commissions, as his letters and reports of his council meetings confirm. He was as pleased with a well-executed item as he was angry when it did not satisfy his expectations. A series of these jewels were produced from the 1680s onwards: the king commissioning a goldsmith to execute the entire jewel. He was able to choose from several models, which were then published at the same time, such as this one (above) by Thomas Lejuge. 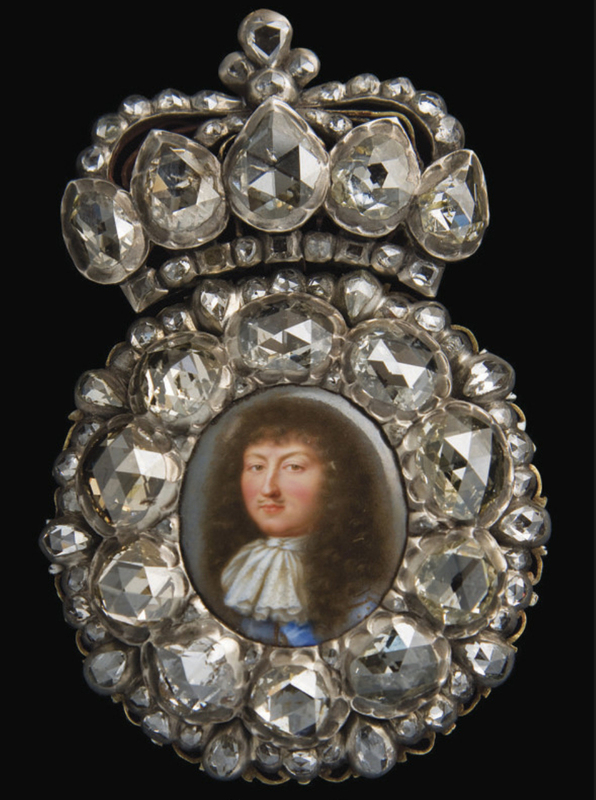 The ‘boîte à portrait’ is fundamentally a pendant with the king’s portrait at its centre, adorned with diamonds of different sizes and shapes, and sometimes with other precious stones around it, and with a jewelled crown sitting at the crest. 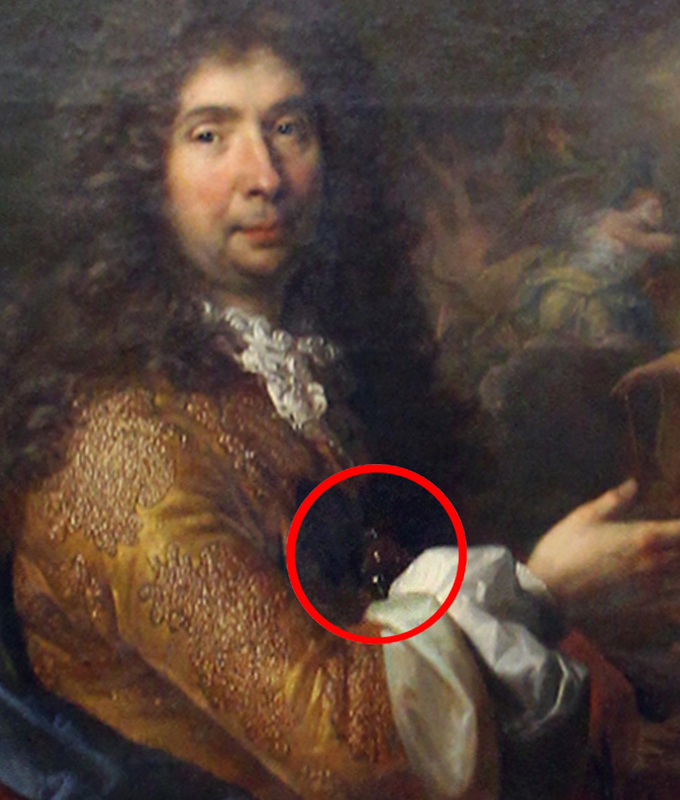 The boîte would also have a blue ribbon at the very top, hiding the clasp which pinned the pendant to the doublet. 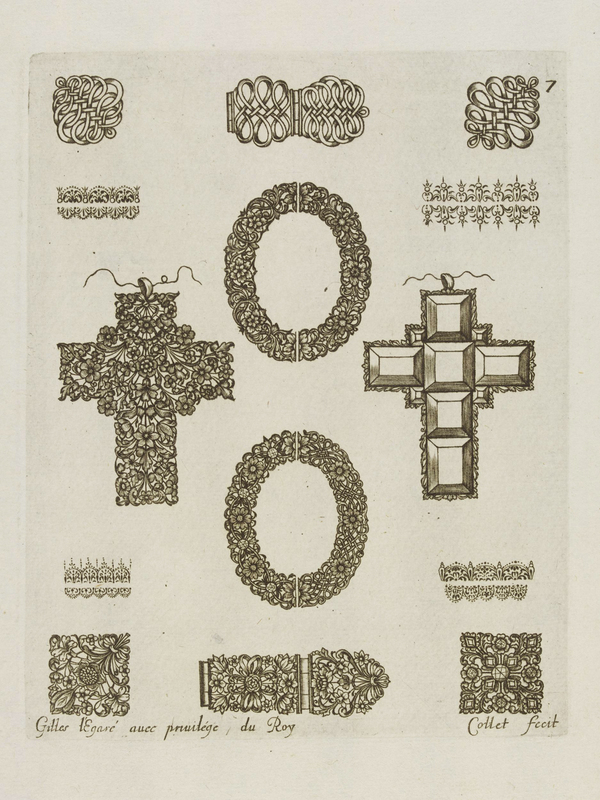 These models used the same ornamental vocabulary as that of Gilles Légaré, with abundant garlands of flowers on the reverse, and the monogram of Louis XIV. The king called almost exclusively on diamonds from the royal collection, which were then entrusted to the goldsmith. 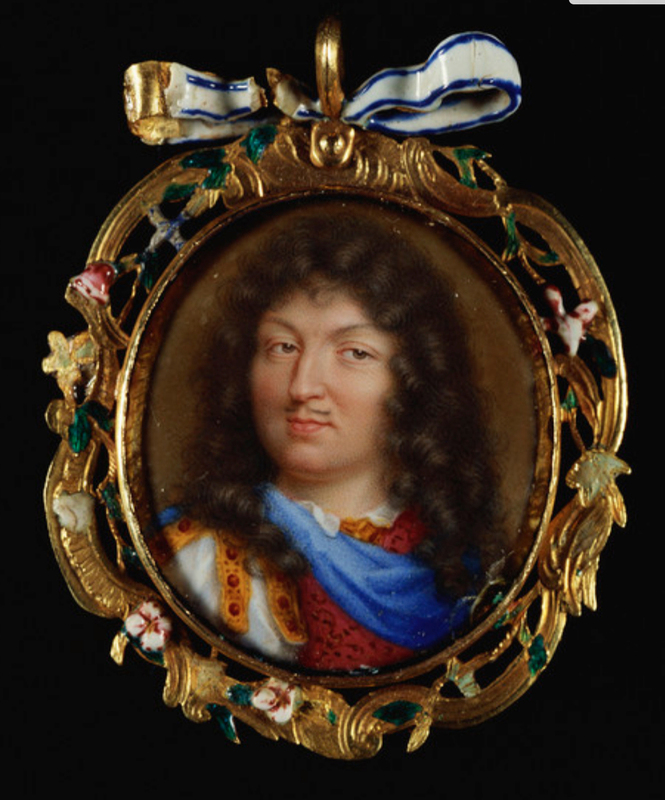 When he had been given the king’s instructions and also the necessary raw materials, the goldsmith would ask a miniature painter – usually, in this case, a member of the Petitot family – for a picture of the king, painted after the official portrait. When completed, the pendant would be presented at a grand ceremony to the recipient, in a leather box – giving rise to the expression ‘boîte à portrait‘. Indeed, the king was currently engaged with leading the army in the war with the Netherlands. Receiving such a portrait was, of course, token of personal friendship and recognition, but also an important source of money in hard times, these boxes being estimated as worth from a few thousand to more than 40,000 livres. Today, only three ‘boîtes à portrait’ survive. 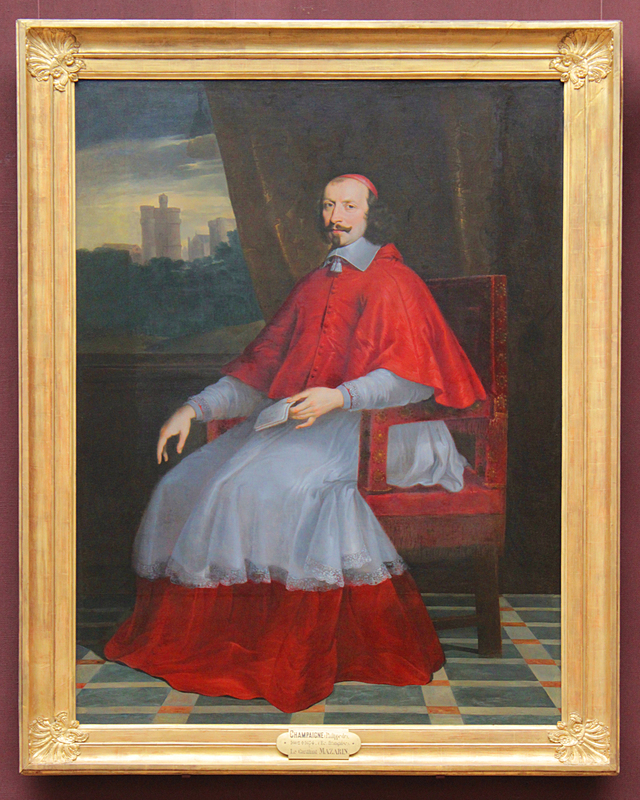 The first was presented to the conte Carlo Cesare Malvasia, and is now kept in the city museum of Bologna. It is ornamented with 74 diamonds and cost 2616 livres. The leather box has disappeared, but the jewel remains in pristine condition. The second belongs to the Gemeentemuseum in The Hague. It was commissioned from the king’s jeweller (from 1676 to 1714), Le Tessier de Montarsy, and presented by the king to Antoine Hensius, Great-Pensionary of the Netherlands; it cost 2648 livres. The jewel still survives in its leather box, but most of the diamonds have been extracted and sold. Finally, the third and probably the most beautiful surviving example was acquired by the Louvre in 2009. We have no evidence of its provenance, and therefore do not know who was presented with this jewel, which survives in its entirety with the enamel still freshly preserved. The portrait was previously in the collection of Yves Saint-Laurent (Pierre Bergé). We have evidence from various sources of dozens of these boxes, not commissioned solely by the king, but also in the collections of other eminent members of the French court, as confirmed by inventories. Henrietta of England owned at least five boxes at her death in 1671, of which one – depicting the French king – was adorned with topazes, rubies, emeralds and diamonds. This fashion rapidly diffused beyond the borders of France. From Spain to Siam, every major kingdom and visitor received one of these precious gifts. A marriage, a treatise, an embassy, a service: each and every event was occasion for the French king to display his wealth and prestige to his subjects, friends and foes. In return, the recipients had to send back a suitably comparable present, frequently imitating him by ordering similar boîtes à portraits. Several examples are known in museums and collections worldwide. The diplomatic relationships between France and England were strong at this time, Charles II and later James II being welcome at the French court. 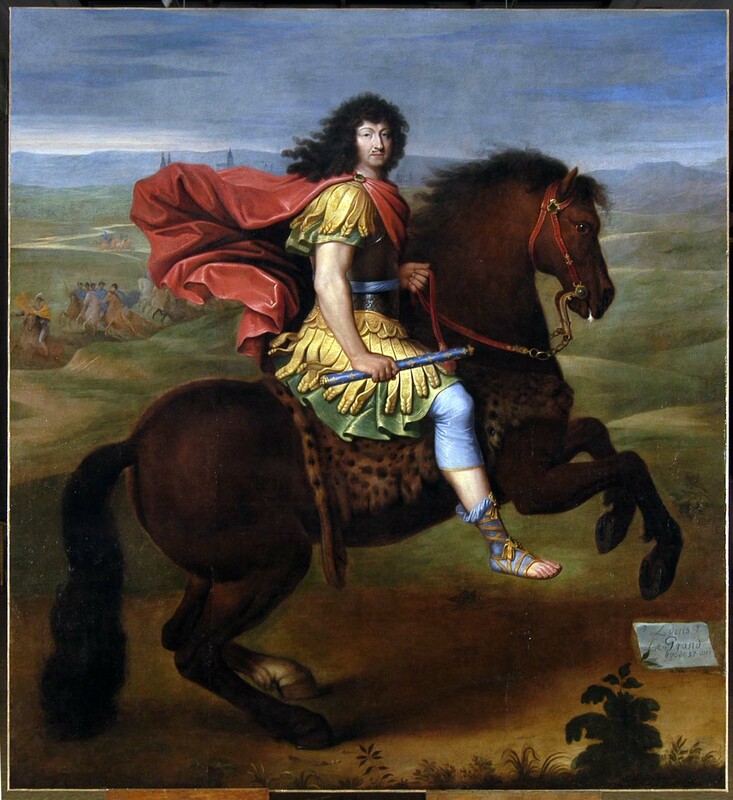 Both kings and court received many gifts from Louis XIV. Despite the Nine Years’ War, the two nations tried to reassert peace, eventually signing the Treaty of Ryswick in 1697. 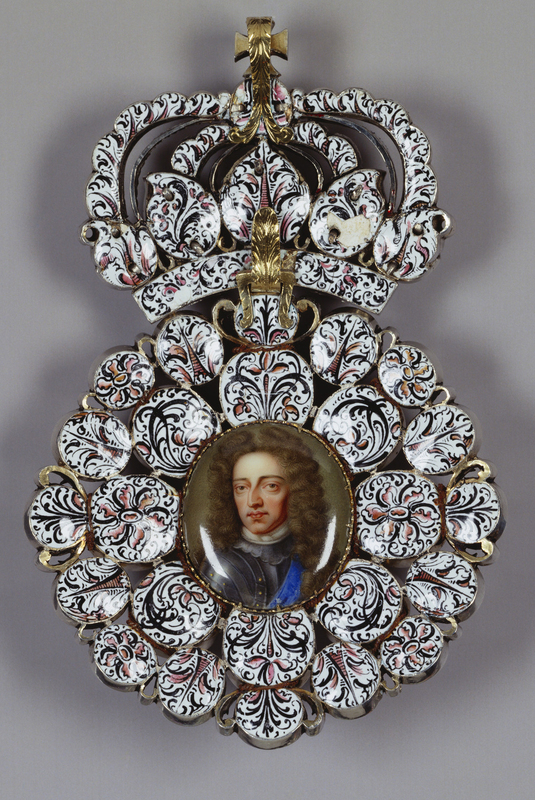 The Duke of Portland received a ‘boîte à portrait‘ worth 4,0510 livres for his rôle in this, as ambassador for William III of Orange, the new king of Britain. In return, William III is one the first monarchs to commission some of these boxes in the French style. However, this example demonstrates that he chose not to imitate the style of the French king too faithfully. 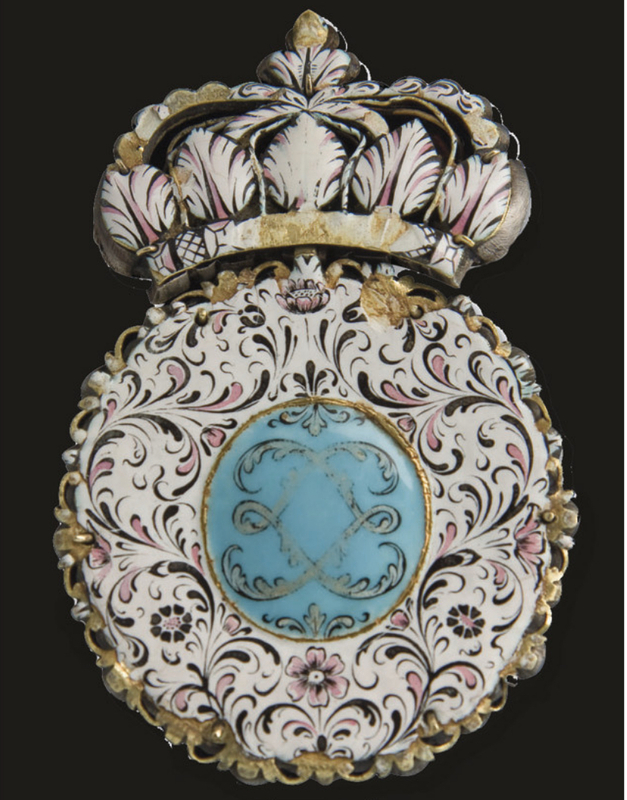 Here, the enamel miniature is decorated on the reverse with enamelled flowers, with the front covered entirely with rock crystals, rather than diamonds, and the monogram of the king of England is absent. Unlike Louis XIV, it is well-known that William III had little interest in his official portraits, leaving Godfrey Kneller to paint a likeness which would be copied over and over again in large canvases, prints, miniatures, and so on. 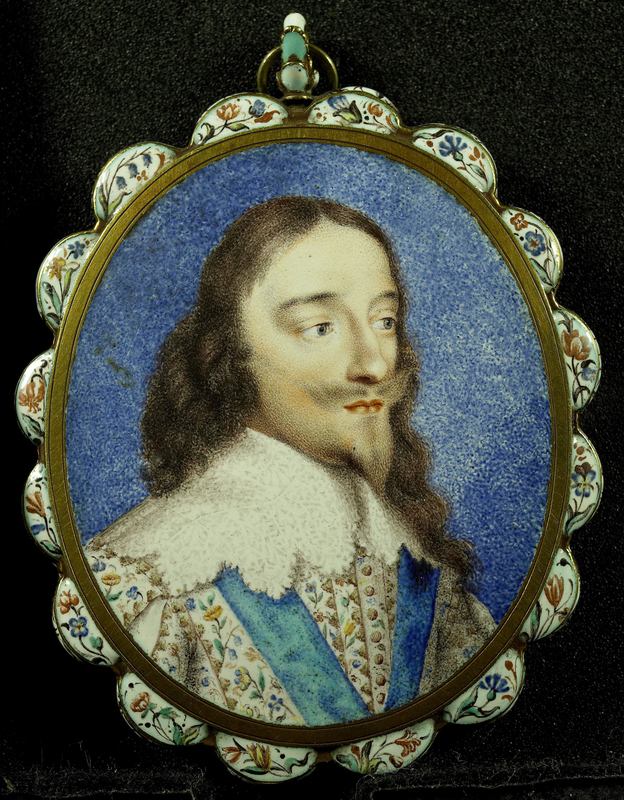 This surviving miniature portrait of the king is the only one to have retained its original case amongst the late 17th century miniatures in the Royal Collections. 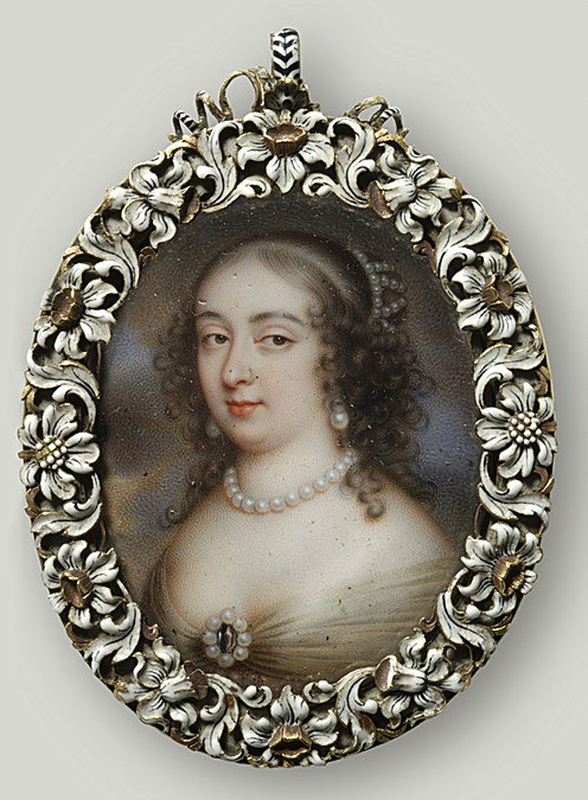 Other miniatures of important members of the English court use a similar pattern to this ‘boîte à portrait‘ for their own images, such as this picture of Anne Hyde, first wife of James II before his accession to the throne. The miniature was painted by Richard Gibson, and the setting has been described by Diana Scarisbrick as characteristic of the Restoration period. 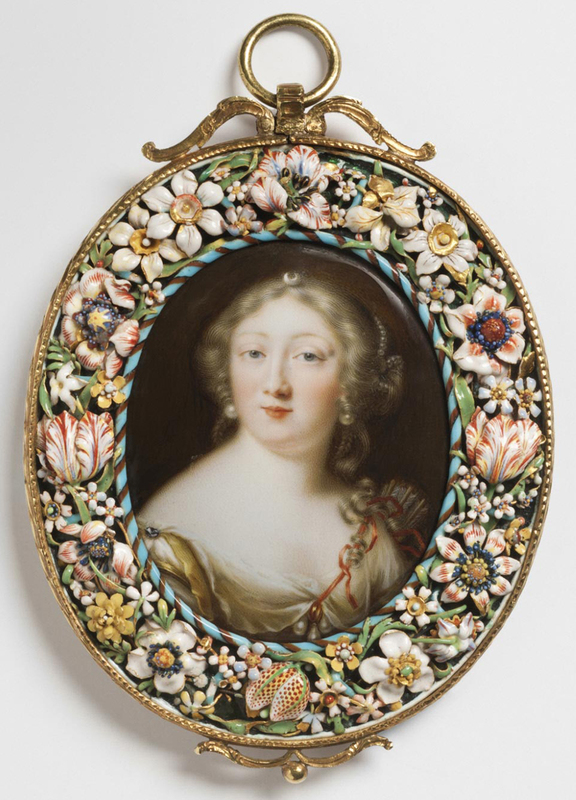 With the appearance of less fragile techniques of producing miniature paintings, these boîtes à portrait were not the only setting used to display one’s love of or fidelity to another. 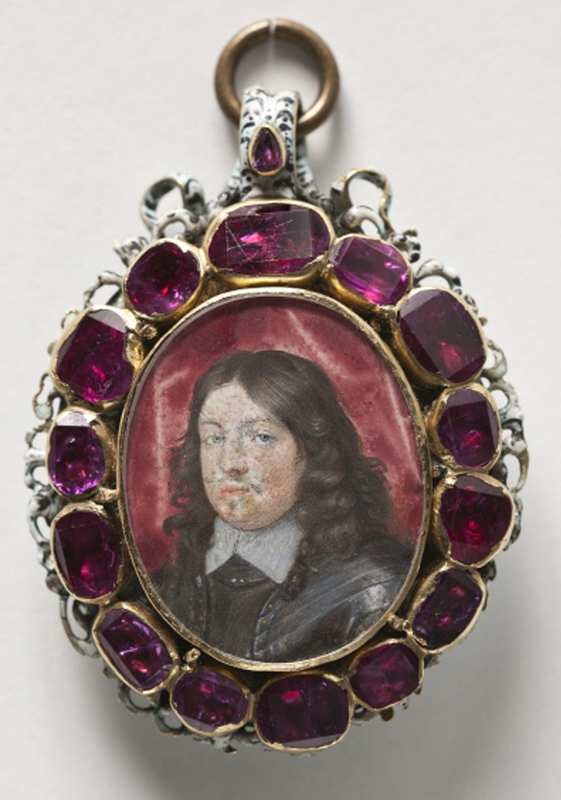 Indeed, the 17th century can be described as a period of experimentation, when miniatures begin to adorn many kinds of jewellery, such as rings and bracelets. 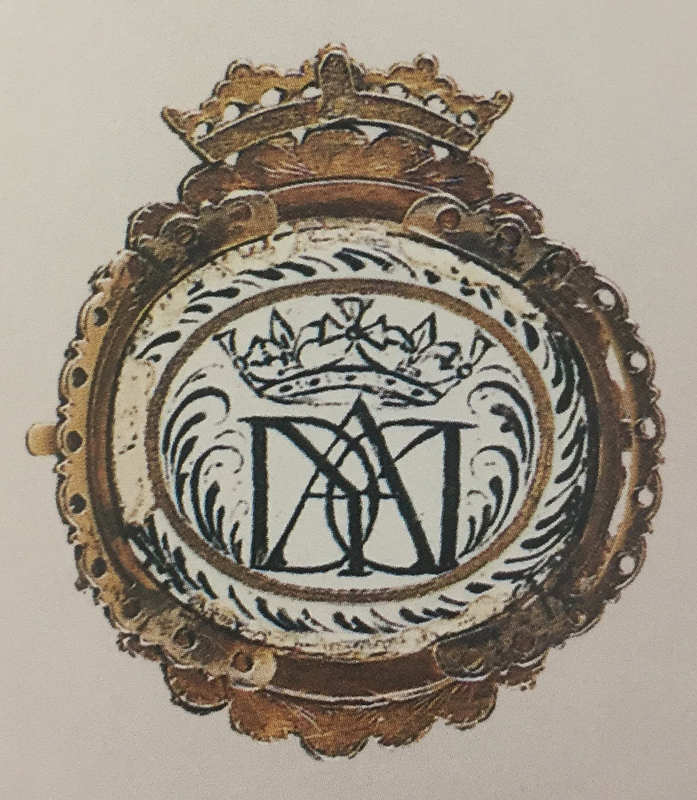 Watercolour miniatures were still produced and were protected by the use of materials such as diamonds; Marie de’ Medici was one of the first to commission this type of jewel as early as 1613, and the fashion diffused rapidly throughout the whole of Europe. The diversity of such objects looked forward to the fashions of the 18th century, when portrait miniatures were used in every type of decorative art, and especially to adorn boxes. 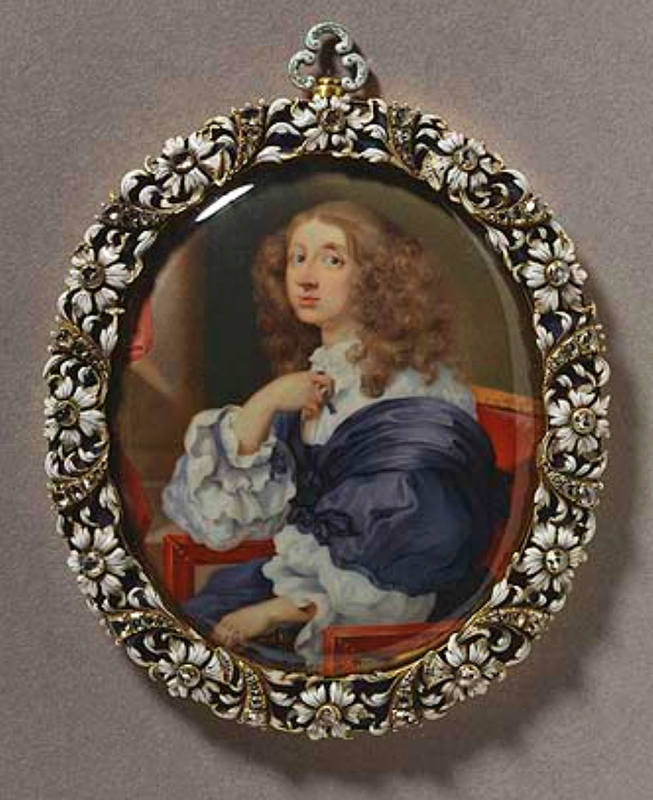 Miniature painting became linked more closely than ever with the goldsmith’s art.